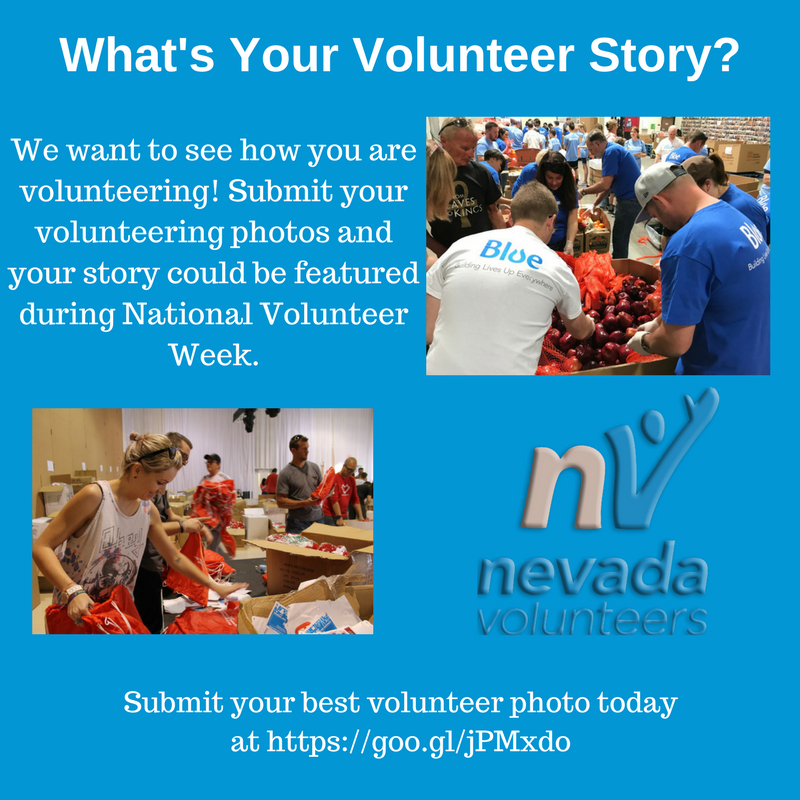 Nevada Volunteers wants to know your volunteer story! National Volunteer Week is April 15th-22nd and to celebrate all the amazing volunteers in our state we are holding a Volunteer Week Photo Contest. Submit your photos at https://goo.gl/jPMxdo and your story could be featured during National Volunteer Week. So show us how you volunteer and we’ll show everyone the impact volunteers have in our communities. previous post: Is AmeriCorps Right for Your Organization? next post: Be an intern with Nevada Volunteers!